We all like to think how much better the world would be without pain. Whether a symptom of a disease, a result of physical injury or even emotional, pain is inevitable in our daily lives. There have been numerous inventions of painkillers since time immemorial. Scientists and herbalists have come up with all types of natural and synthesized pain relievers to present to the wide market of people suffering in pain. 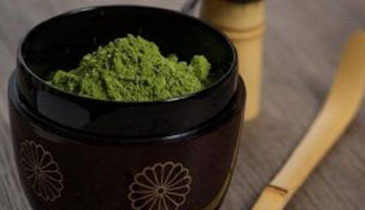 Among the best painkilling drugs, there are two which are very popular around the world; Kratom and CBD. We will look at the effects each have on pain and compare them to find out which is the best painkiller. Also called hemp oil, CBD oil is extracted from cannabis and used in the treatment of chronic pain. If the word cannabis scares you, there is no need to worry. There are two major cannabis plants; marijuana and hemp plants. Now marijuana is what you should be worried about. • Killing pain caused by Arthritis; CBD is effective in treating both types of Arthritis; Osteoarthritis and Rheumatoid Arthritis. • Cancer treatment; it is used to kill cancerous tumors and reduce pain experienced during chemotherapy. The National Cancer Institute (NCI) considers CBD as an effective painkiller. • Used in the treatment of Multiple Sclerosis. • Apart from relieving pain, CBD also causes anti-inflammatory effects and treats insomnia caused by chronic pain. In addition to all these pain-relieving effects, CBD has no risk of addiction or withdrawal symptoms. However, some people may experience side effects such as nausea, irritability, and tiredness. It is available in different forms; oil or powder which makes gels and creams that are applied to the skin, capsules and oral sprays such as Sativex. NB; some people may be allergic to hemp oil. It is important to consult a doctor before use. Kratom is has gained recognition very fast over the years. Its non-synthetic nature and numerous benefits have had many people searching for it in the market. Kratom is proven to be a strong pain reliever and a good replacement for pharmaceutical drugs and opioids. Extracted from Mitragna speciosa, it has strong nootropic, analgesic and energizing effects. As for its analgesic properties, Kratom contains active compounds known as alkaloids. These alkaloids include Mitragynine and 7-Hydroxymitragynine. These two alkaloids work like endorphins, which are hormones that are released to opioid receptors to reduce pain perception. In the same way, the alkaloids enter the brain, attach to opioid receptors and cause pain relief. Kratom has numerous strains, and each strain has its particular strengths. 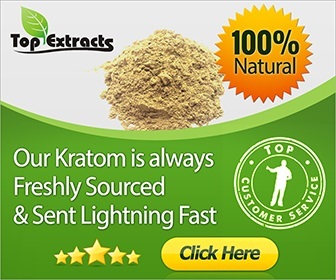 There are basically three strains of Kratom, depending on the vein coloration from which they were extracted; the Red Strain, White Strain, and Green Strain. The Red strain is a potent pain reliever and is effective in reversing insomnia and also has anxiolytic effects. It helps you eliminate pain, relax more and even get some decent sleep. Green Kratom is the central strain, with equal effects of both Red and White. White Kratom, on the other hand, has high euphoric effects but lacks the tranquilizing effects of Red strain; allowing one to be active and pain-free. One of the best Red Strain in the market you should definitely look for. Effective in euphoria hence the best for mood improvement and analgesic effects. Maeng Da used in the treatment of Rheumatic Arthritis, Osteoarthritis and cancer. Used in chronic pain management in the muscles, joints and has anti-inflammatory effects. There are two major types of pain; nociceptive pain and neuropathic pain. Nociceptive pain is caused by injuring body and skin tissues trough cutting, burning, fracturing or breaking. Neuropathic pain is chronic and caused by the malfunctioning and deterioration of neurons; which send pain signals to the brain despite the absence of physical injury. Neuropathic pain is a symptom of disorders such as Arthritis, cancer, and Multiple Sclerosis. CBD oil is known to be better in treating neuropathic pain since it interacts with the brain and immune system while Kratom treatsnociceptive pain better. Kratom and CBD are two of the best pain killing methods. CBD is effective in treating pain caused by diseases and disorders while Kratom is better for pain caused by physical injury. CBD has the advantage of no addiction risks, but Kratom has a fair risk of addiction and withdrawal. That means CBD is usable daily while Kratom should be in small dosages and used a few times a week. However, both options are preferable alternatives to opioids, which are highly addictive and have side effects that may be dangerous. However, Kratom has the upper hand in pain relief. Its strains have high potency, meaning the pain-relieving effects are stronger. Also, there are many options of Kratom strains in the market which may work for you. Those people who are allergic to CBD have Kratom as their knight in shining armor. More research has been done on Kratom, and many consumers have agreed that Kratom is effective. CBD also has been praised for its effects especially in chronic pain management. Suffering in pain is no longer an option now. The modern world gives us treatment such as Kratom and CBD to get through the pain and stay strong every day. Though Kratom has a higher recommendation, both are excellent pain relievers and will provide a pain-free haven that you wish for.